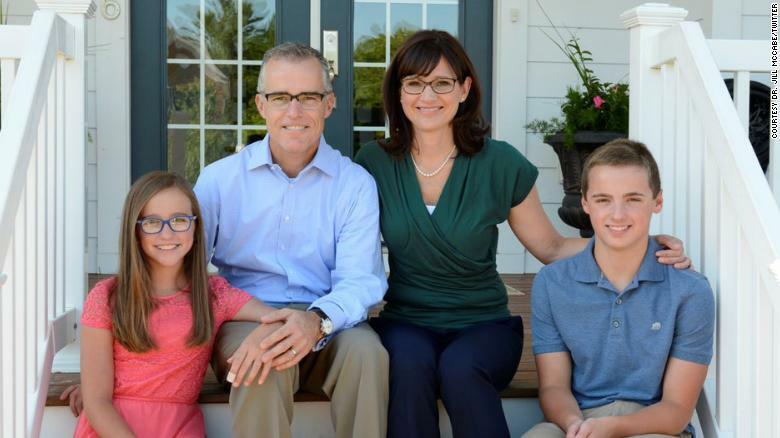 Home Politicians Andrew McCabe Biography, Net Worth and Salary, Why Was He Fired? In the wake of Donald Trump’s presidency, a number people have been subject to the whims and caprices of the president with some people losing their jobs, some refusing to work with him because of differences in policies and other people just flat out resigning. Surprisingly, Andrew McCabe falls in the first and third category of people. Here is more on the life of McCabe as well as the reasons for his resignation and sack from the FBI. 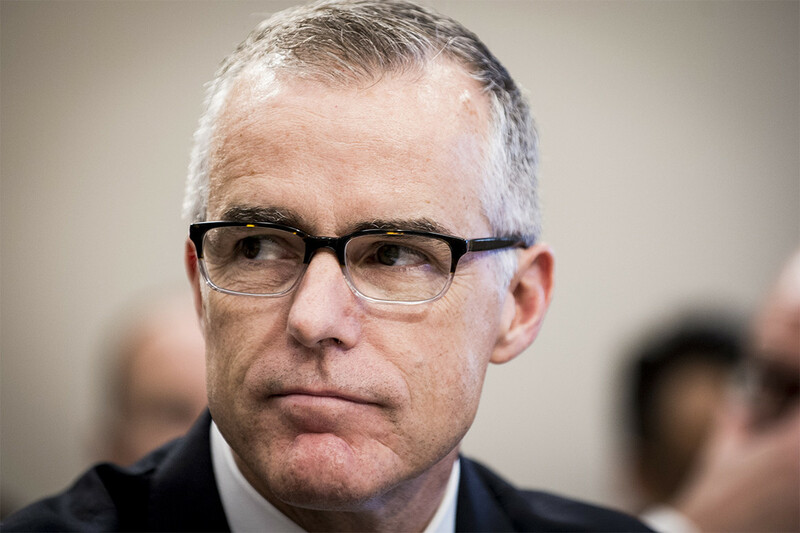 On the 18th of March, 1968 in the capital city of Connecticut – Hartford, Andrew McCabe was born. There is nothing publicly known about his immediate family members or the type of life he lived during his childhood. But for his high school education, McCabe attended The Bolles School, a boarding and preparatory school which is located in Florida. He graduated from there in 1986 and went on to earn a Bachelor’s in Arts from Duke University, graduating from Duke in 1990. Andrew McCabe then progressed to Washington University from where he bagged a Juris Doctor (JD). While he was attending Washington University, he worked as an intern with the Department of Justice in the criminal division of the office. By 1993, Andrew McCabe was done with his educational pursuits. Due to a hiring freeze by the Federal Bureau of Investigation, Andrew spent the first three years of his career working in a law firm in Philadelphia. His career in the Bureau began in their New York office where he was placed to be a member of the SWAT team. By 2003, his job was changed to the position of a Special agent supervisor. Andrew McCabe has a set of skills that made him an asset to the diffusion of terrorism and the investigation of such matters. He has worked in positions of leadership in Counterterrorism and National Security divisions of the FBI. He also helped with the arrest of one of the suspects of the Benghazi attack which took place in 2012, as well as being a part of the team that investigated the bombing that occurred during the Boston Marathon in 2013 and the team that investigated the use of certain interrogation methods in the FBI. On the 29th of January, 2016, James Comey, the former director of the FBI appointed Andrew McCabe as Deputy Director, a position he held till the 9th of May, 2017 when he was made acting director after the dismissal of his former boss, James Comey, by President Trump. By the time Andrew McCabe became deputy director, his wife, Jill McCabe, was planning to run for a position in the Virginia Senate; his reporting of this to the FBI was the grounds upon which he was able to recuse himself from an investigation into Hilary Clinton, as his wife and Clinton are both members of the same party. When the time came for Andrew McCabe to be appointed as director of the FBI, he was overlooked and Christopher Wray was chosen instead. Before the appointment of Wray as director, an investigation had been launched into the involvement of Russia in the 2016 elections to aid Trump during his campaign, but because of McCabe’s ties to the opposing party which his wife is a member of, Trump always found ways to attack McCabe, accusing him being conflicted. This continuous attacks plus the promise of a demotion led Andrew McCabe to resign on the 29th of January, 2018 while waiting out his retirement which would kick off on the 18th of March, 2018, another thing Trump has mocked him about. However, on the 16th of March, the Attorney General, Jeff Sessions fired McCabe, who was on paid leave. With 26hrs left just before the completion of his service which qualifies him for the immediate dispensing of his pension, the sack extends the date he can collect his pension. Andrew McCabe himself has described the reasons for his sack as political. As a deputy director of the FBI, Andrew McCabe was most likely paid $149,820 annually. In the wake of the confirmation process that McCabe had to go through to become the Director of the Bureau, there were ongoing speculations that his net worth was $11 million – this has been discredited by his spokeswoman, thus his true net worth remains a mystery.